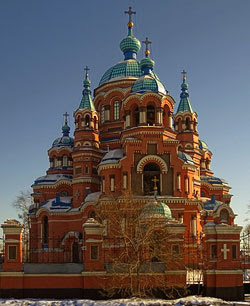 So I was wandering some of the more famous streets in Irkutsk, looking at the spectacular wooden mansions and beautiful churches lining the streets. Thinking how the White Russians fled here with all their wealth and education (and beautiful women) a hundred years ago, how they turned this town into a little Siberian Ayn Rand utopia. 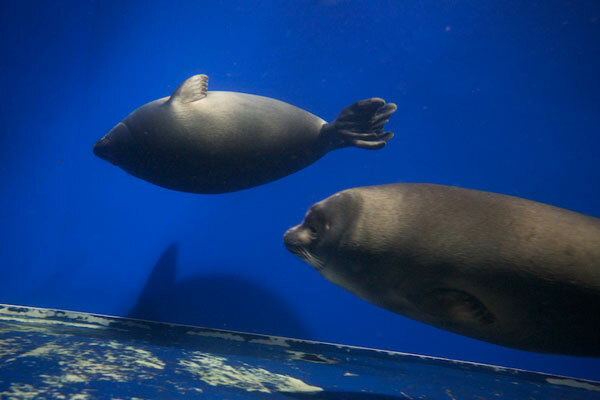 And I couldn’t stop thinking about … seals. Nerpas to be exact. Nerpa being the Russian word for the local lake seals that inhabit the enormously long and unimaginably deep Lake Baikal next door. (A mile deep? Really?) 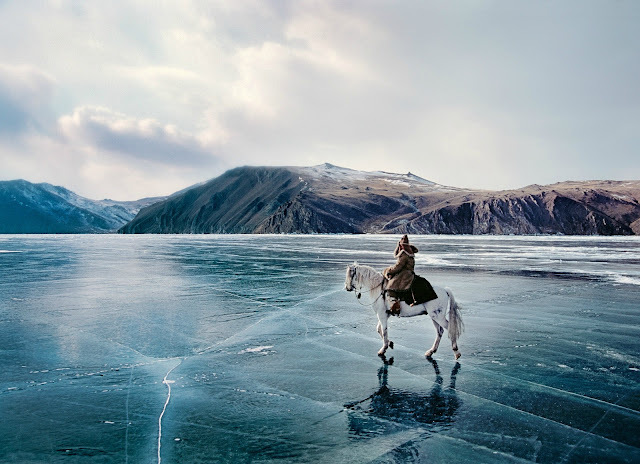 It turns out that the Eastern bit of Russia is actually pulling away from the rest of Asia, and the gap has become the oldest lake in the world. Which one day in the future, probably around when the Morlocks will appear, will become a new ocean. There is something very strange about this place, and I'm not just talking about the Shaman spirits floating around the place. It's the seals. You see, seals are saltwater creatures. They are only found in oceans. Yet, somehow, seals managed to crawl hundreds of miles to this pond. The Russians, of course, immediately made them the local mascot and set about training them for tourists. I dutifully made my way to a little brick building where, along with a dozen school-kids, watched the seals blow trumpets, do back-flips, and count to 10. And apparently the trainer, who could have been a swim-wear model, made a bunch of funny jokes in Russian. Completely clueless, I decided to laugh at all of them. Probably too loudly. As for cuteness factor, I will give the Nerpas a 9 out of 10. Nothing beats a cute little Nerpa. 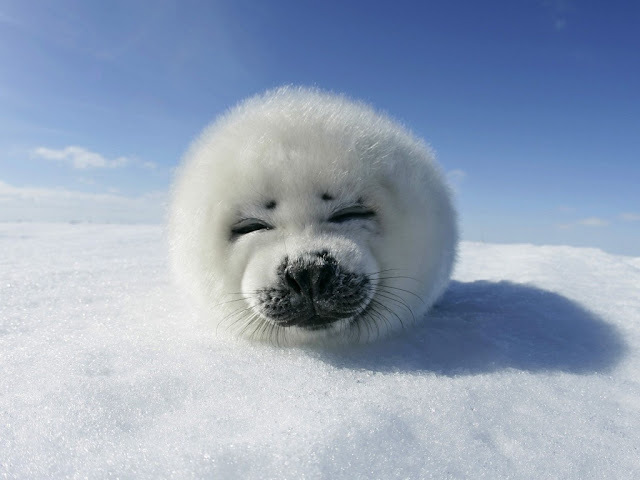 Except, of course, the stupidly cute harp seal pup. I mean, give me a break. 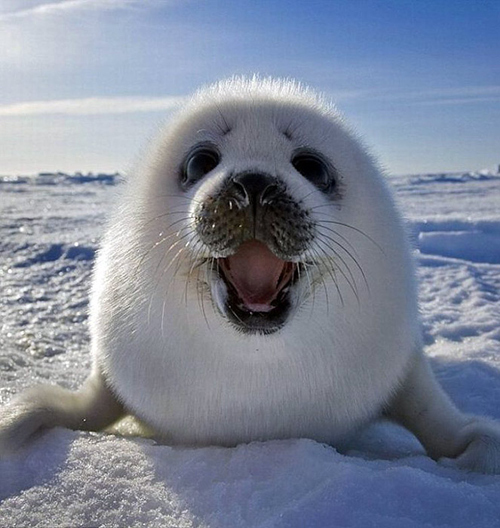 Nature made harp seal pups for one reason: to break the cute meter. Harp Seal: "Don't fight it. You love me and want to squeeze me until I poop. Resistance is futile."